Now, at this juncture, you might be wondering why someone who had his hands full creating a still fairly new comic strip would want to take on the responsibilities, workload, and general insanity of a second one. (Excellent question: It shows you’re really paying attention.) There are probably several reasons for this. First is the fact that cartoonists are apparently kind of an insecure lot. Misfits, really, who are either trying to find themselves or lose themselves in their art. 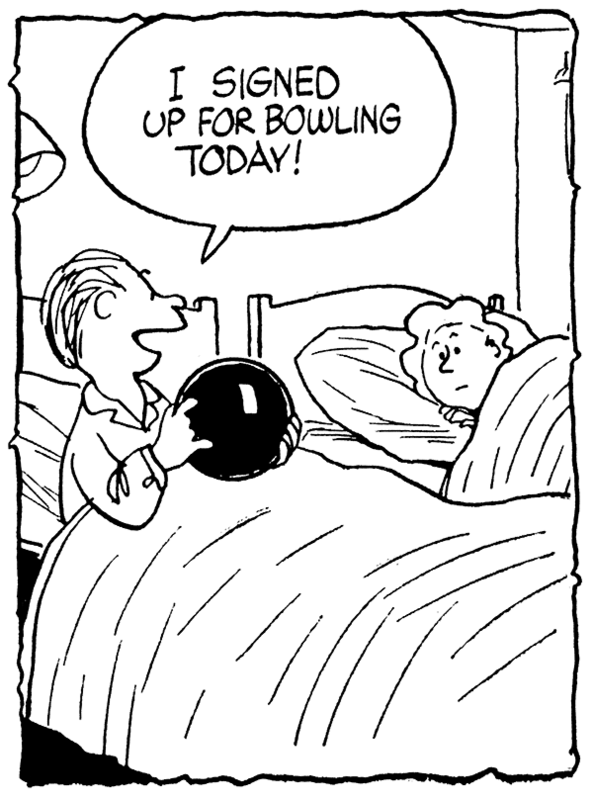 The list of major cartoonists who have created second strips is an impressive one that includes God himself, Charles Schulz, who launched a companion strip about sports while authoring the most popular comic strip in the world. The clinical reasons for this phenomenon shall have to remain between us and our therapists (thanks, Mom), but suffice it to say, the perceived need to hedge our bets with a second feature seems to be a fairly pervasive one. Second, as someone who had just gained purchase on the comics page on the backs of the aging teen comic strips of the day (Freckles and his Friends ended less than a year after Funky began) and who had replaced Little Orphan Annie for Jiminy Cricket’s sake in the Philadelphia Inquirer, I was understandably wary of the shelf life that a teen strip might have. I recall thinking at one point that Funky might have a ten-year run at best, and, by 1978, the strip had already reached its sixth anniversary. Plus, 1978 and 1979 were not great years in the economy, and, casting a cold hard eye down the road, the future looked a little dicey. When you couple all the above with the fact that I was in a creative overdrive at the time, it’s not surprising really that I thought about floating a new comic strip past the powers-that-be at my syndicate.